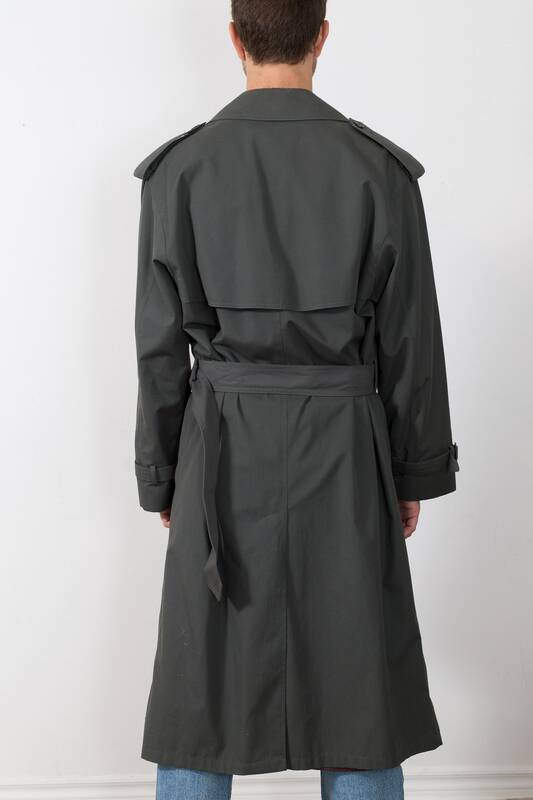 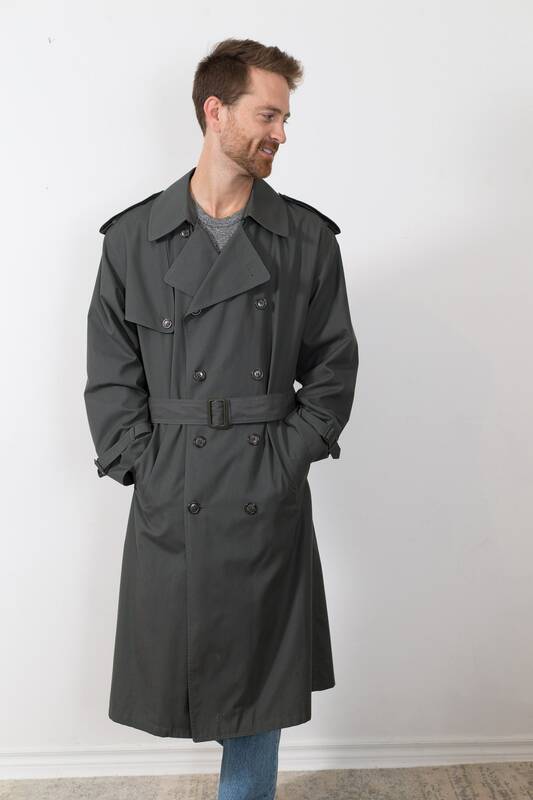 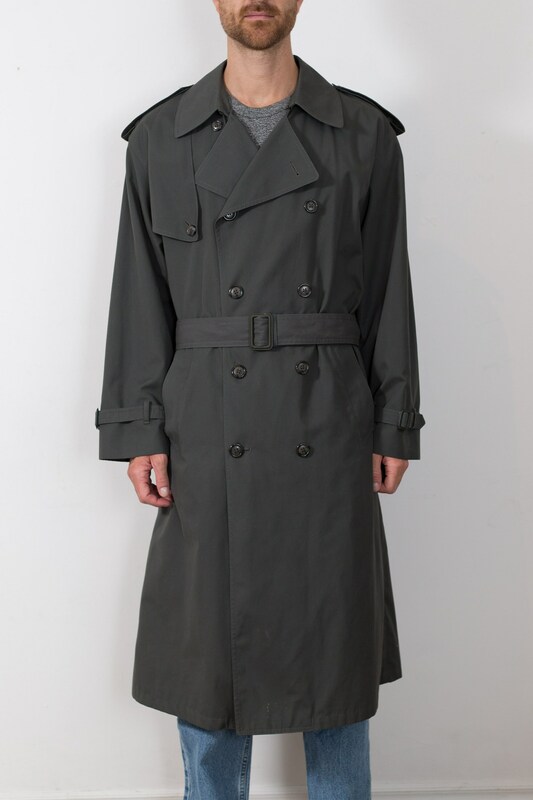 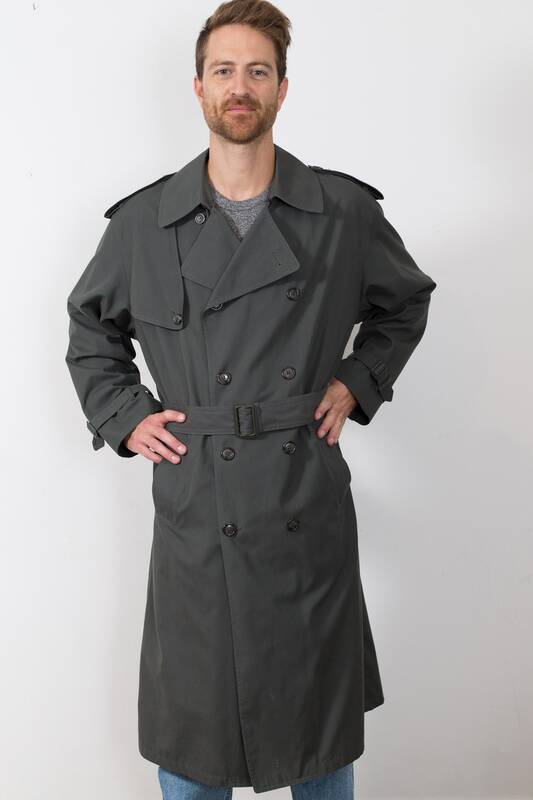 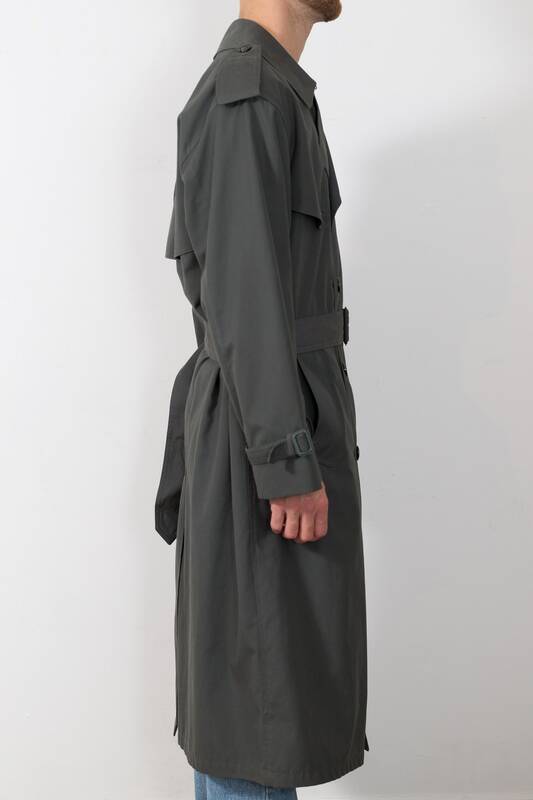 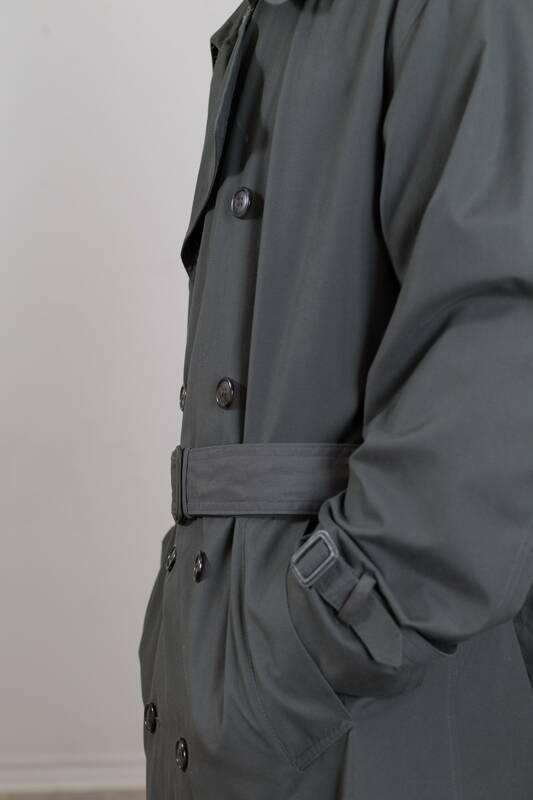 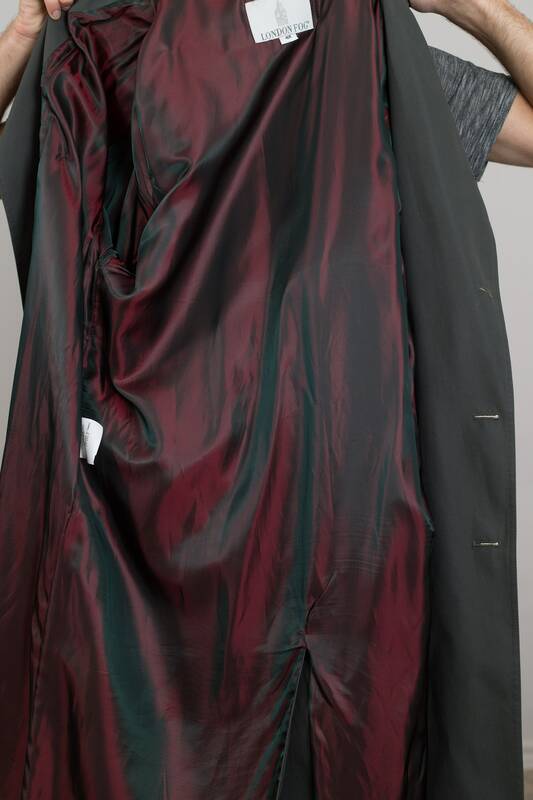 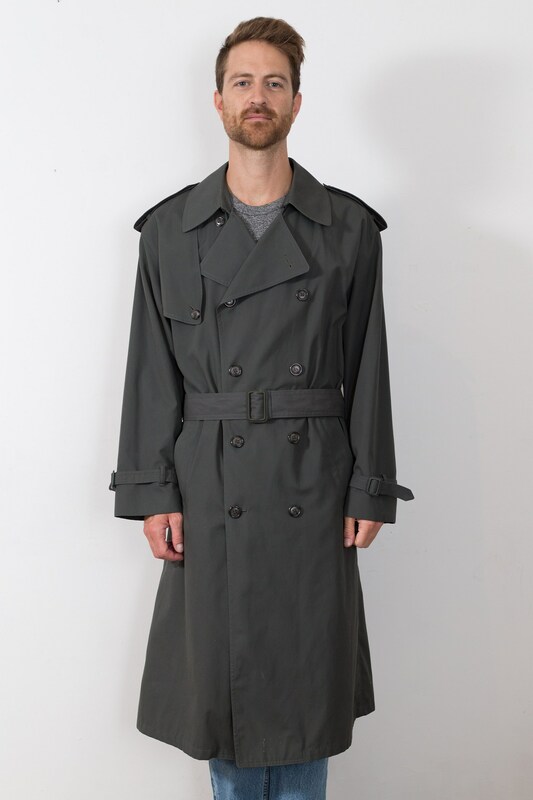 This is a stylish vintage greenish grey lightweight men's overcoat with an iridescent red lining and the original belt. 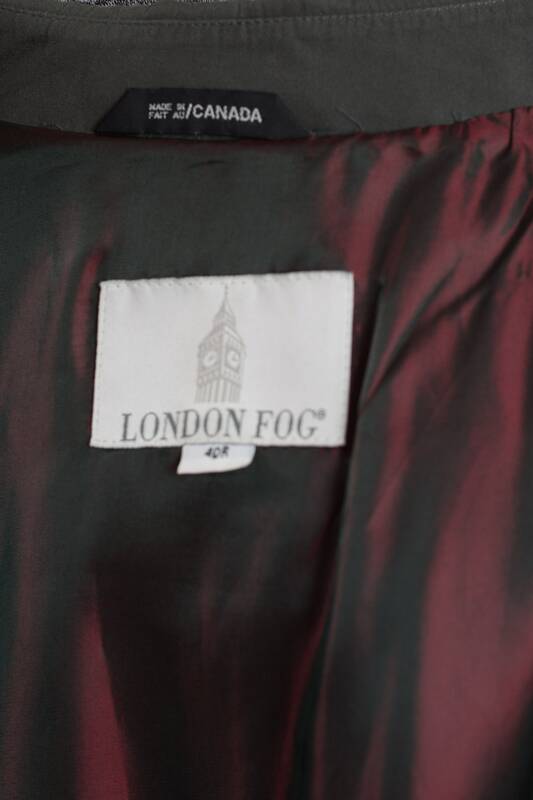 Brand: London Fog (Made in Canada). 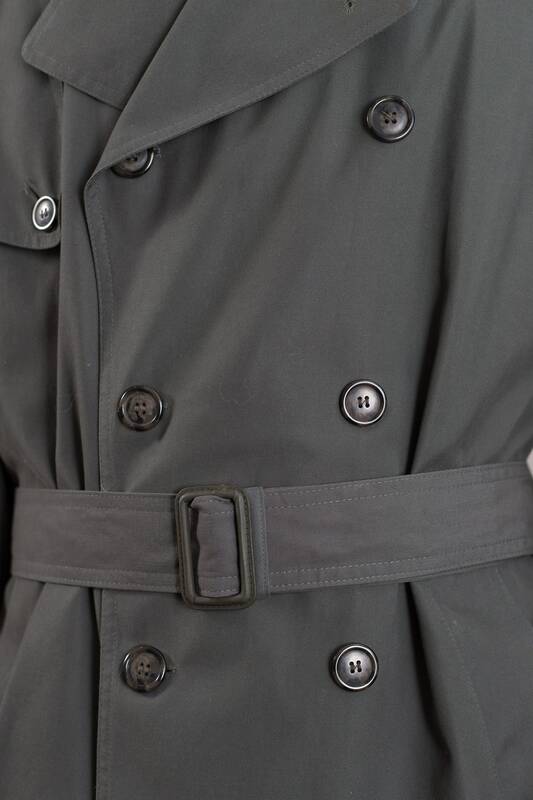 Length from neck seam to bottom of sweater: 48"